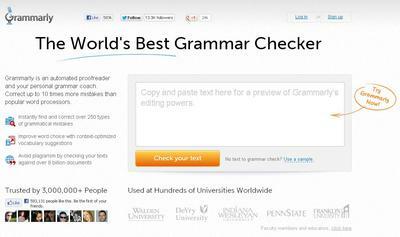 This month I am reviewing Grammarly: (Apparently) The World's Best Grammar Checker. I'll be posting my personal review of Grammarly after I have used it more. I'll post a link to my full review when it is here. I have only used Grammarly on one of my articles, so I am no expert (yet). Did you find it useful? Did it not meet your expectations? Please share your thoughts below as a comment. 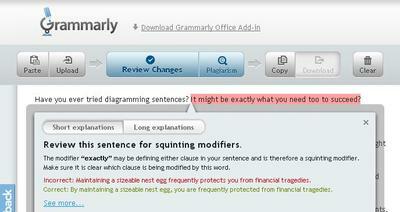 I'm particularly interested to see how Grammarly works for you (a non-native English speaker). It might work for me, but maybe it is not the best tool for you. PS: I used Grammarly to edit this post. It helped me re-structure some sentences, change some vocabulary words and made some suggestions to writing style. Important: Remember that YOU are in control and that Grammarly is only a tool. It will not be correct 100% of the time. You must use human judgement to assess the suggestions and make a decision for yourself. Many of you have patiently been waiting to hear what I had to say about Grammarly. I am happy to say, after three months of using it, that I have writing my official review. Has anyone else used Grammarly recently? I'd love to know what students think about this grammar checker. All the best and enjoy the review! Thank you very much for sharing. I was looking for a programme that I could check my spelling and grammer mistakes. 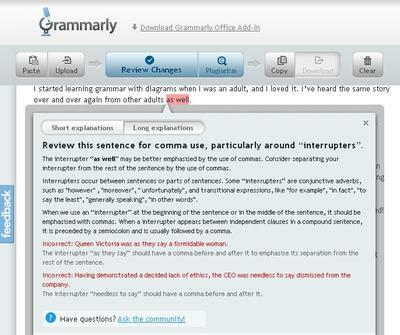 I really like your web page and looking forward your thoughts about Grammerly. Grammar review is very important in our daily life for well using English language in both speaking and writing correctly. 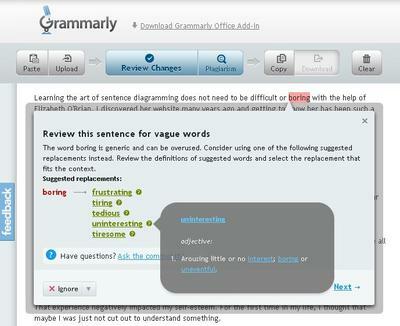 In addition, the grammar review helps me following my studies (in sciences) and elsewhere due. I APPRECIATE YOU ONCE AGAIN,MAY GOD BLESS BOTH YOU,YOUR PARTNERS AND MY COLLEAGUES(ENGLISH LEARNERS)! I just wanted to say what a great idea that is to also make an audio version of the newsletter!